Iris virginica var. 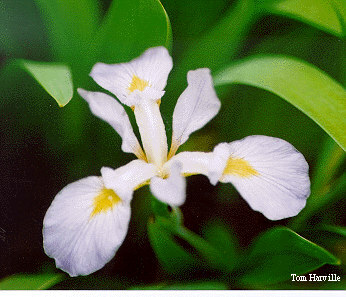 shrevei: marshes, swamps, streams (uncommon in NC Mountains & Piedmont); Iris virginica var. virginica: tidal and nontidal marshes and swamps, stream margins, flatwoods, wet meadows, bogs (rare in NC Piedmont, common in Coastal Plain).